How Will WLTP Regulations Affect Aftermarket Exhausts? Doug Bentley, Head of R&D at Klarius, explains why the aftermarket business is ahead of the emissions testing curve. The automotive industry is now implementing a new, ‘real-world’ emissions testing procedure for vehicles, which is hoped to make quoted mpg figures more accurate, but might also mean higher tax brackets for many cars. A push on manufacturers to produce vehicles that are more optimised for the new test will lead to some changing trends in engine design. The way in which many mass-market aftermarket exhausts are designed and manufactured, however, means the transition is likely to be more seamless for those who properly test and introduce new parts regularly. The change in fuel performance and emissions testing has probably been influenced by the Volkswagen test-cycle software issue, but consensus was that the quoted mpg efficiency figures for new cars were pretty much unobtainable in the real world, especially for hybrids. So, change isn’t a bad thing in this sense. Now we are moving from the 1980s emissions test, known as New European Driving Cycle (NEDC), which was conducted solely in laboratory conditions and was based on theoretical driving profiles, to the new Worldwide Harmonised Light Vehicle Test Procedure (WLTP), which includes some testing under laboratory conditions and a Real Driving Emissions (RDE) test conducted on-road. These new testing procedures aim to provide a closer representation of ‘real- world’ fuel consumption and air pollution from car emissions. All new car models launched as of September 2017 will have to be tested in this way, and then every new car registered from September 2018 must also comply and/or be tested, regardless of its year of manufacture. 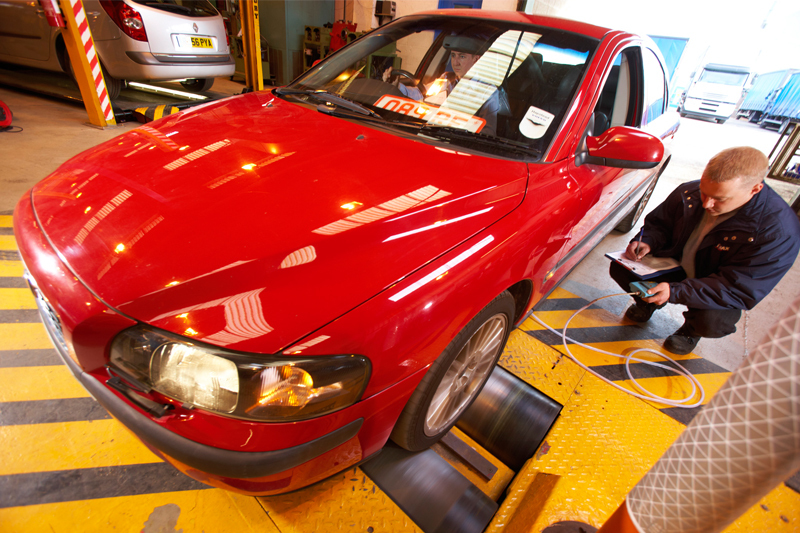 There will potentially be cars on the road that have both sets of figures applied to them, however, when it comes to the MOT test or the Type-Approval test, which quality manufacturers like Klarius will meet, then aftermarket compliance is more straightforward. A replacement exhaust system, including CATs and DPFs, will need to ensure an MOT pass, which all quality items will do. It will also need to conform to Type-Approval standards where applicable, which will be based on the official OE figures for emissions, conformity of fit and back pressure, but not necessarily fuel economy, as that is subject to driving style. Because of these different testing methods, a number of modern Euro 5 and Euro 6 vehicles, with emissions that did not exceed type approval limits under the NEDC, might not meet the NOx and CO2 emissions requirements in real driving conditions. Some existing model ranges might then change, meaning aftermarket manufacturers are going to be a little busier in years to come, matching a wave of new models with replacement systems – if the physical exhaust system components are changed. It’s likely that lots of the changes will be achieved through software maps and so the mechanical parts of the exhaust are less likely to change. These changes will not only impact automotive OEMs; some manufacturers of aftermarket emissions equipment will have to adapt too. As car performance, reliability, fuel efficiency and emissions heavily depend on exhausts, catalytic converters and diesel particulate filters, it will be even more important to provide high quality replacement aftermarket emissions parts. As a result of the new emissions regulations, it won’t be sufficient anymore to simply apply lab-testing to establish Type-Approval standards in auto exhaust products – on-road fit tests will be necessary. However, manufacturers like Klarius already use a variety of real-world tests in addition to lab tests to ensure their products meet both internal quality and external test standards. For the aftermarket exhaust manufacturers at the forefront of real-world emissions testing that have the facility to design, test and release large numbers of new products over short timescales, the transition from NEDC to RDE won’t be a revolution, but a simple step in an already flexible and dynamic production process. The results should be good product availability and peace of mind for garages and motorists using the independent garage network.